The list for the highest earning actors in 2014 was estimated by Forbes Magazine, which offers insight into the amount of money being handed over to actors in Hollywood, today. A-List actors in Hollywood are earning more money than ever before, as Hollywood movies collectively make more money than ever before. It's certainly a great time to be a sought-after actor/actress in Hollywood's big-budget movies, today. Starting with the best paid actor, down to the least best paid, here's the highest paid actors of 2014. Robert Downey Jr., the star behind the Iron Man/Tony Stark character in Marvel's Avengers Iron Man and Avengers films. Iron Man has been kind to Robert, or should we say Disney (owner of Marvel) has been kind to Robert, as in 2013 Robert received $50 million for his role as Iron Man/Tony Stark in 2012's The Avengers, which was a box office hit, grossing more than $1.5 billion worldwide. However, 2014's big pay-day for Robert came from his back-end pay for Iron Man 3, which grossed more than $1.2 billion worldwide at the box office. Dwayne Johnson is Hollywood's latest action-hero, having taken Hollywood by surprise after originally being a WWE superstar, turned Hollywood heavy-hitter. Dwayne has starred in numerous movies over the past decade, starring in action, comedy and even family movies. Over 2014, Dwayne starred in the much anticipated Hercules movie, which grossed $243 million worldwide at the box office on an estimated $100 million budget, mixed with the Fast and Furious series which Dwayne has been starring in, these were the movies behind Dwayne's large payout in 2014. Bradley Cooper has been lucky over the past few years, as he landed his popular role in the successful Hangover films. These lucrative Hangover films have brought Bradley handsome payouts and he has found himself in some smaller, yet still successful films, like Silver Linings Playbook (2012) and American Hustle (2013), which both brought Bradley nominations for Oscar's. In 2014, Bradley voiced Rocket in Guardians of the Galaxy, which proved to be an extremely successful Marvel film, commercially speaking, grossing $773 million worldwide at the box office on an estimated $170 million budget. Leonardo DiCaprio is one of Hollywood's brightest, most talented and best-looking stars, and his pay reflects. In 2013, Leonardo starred in two very successful films, The Great Gatsby and The Wolf of Wall Street, earning him large payouts in the 10's of millions of dollars. Leonardo is still earning millions from back-end payouts from his portfolio of previous films. Chris Hemsworth, the star behind Thor- god of thunder and team-member in the Marvel alliance, Avengers. Chris isn't earning quite as much from his character Thor, as his co-star Robert Downey Jr. in The Avengers, but he is still fifth on our list of the highest paid actors in 2014, so he's still making a ton of money from his appearances as Thor in the Thor films and The Avengers films. 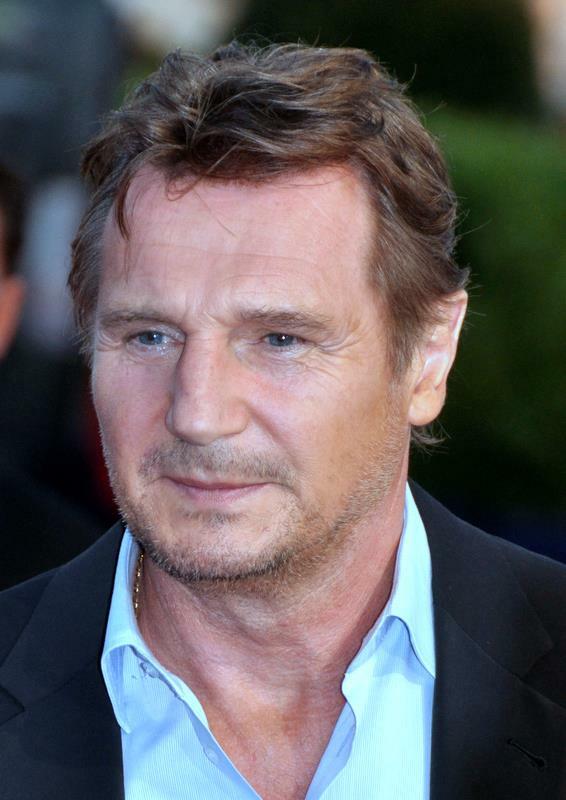 Liam Neeson is a strong contender on this list within the action/thriller genre, as he is earning his fortune from starring in smaller budget films which have a high profit margin. This tactic has been working wonders for the actor, as his Taken films are on their third installment this year and in early 2014, Liam starred as the leading man in Non-Stop, which had a budget of $50 million and has since made a total worldwide gross of an estimated $223 million. Biggest payout for 2014: Payment for upcoming Batman movies. Ben Affleck has proven that he can direct after his more recent successes, The Town (2010) and Argo (2012), which he both directed and starred in. These commercial and critique successes have resulted in Ben being offered the role as Batman, taken over the predecessor, Christian Bale, who made the character famous and great again after starring in the Dark Knight trilogy as the dark superhero, Batman. Ever since the announcement that Ben Affleck would be taking over the role of Batman for upcoming projects, including Batman v Superman: Dawn of Justice, Justice League Part One and Justice League Part 2, fans of the comic superhero have taken to the internet in force to debate the choice for Ben Affleck as Batman. However, with a signed contract for the next 5 years with Warner Bros. Studios, it seems Ben is sitting comfortably with a very large upfront payment. Christian Bale, the man who made Batman popular again in the Dark Knight trilogy, benefited hugely from the Batman movies, as they have seen his bank balance rise substantially and have paved way for Christian to star in more big budget projects, like the recently released Exodus: Gods and Kings, directed by Ridley Scott (director of Gladiator). Biggest payout for 2014: Back-end payouts from previous films Will has starred in. Will Smith has been highly successful as an actor and producer in Hollywood, reflecting the payout he has received in 2014 for his efforts. In 2014, Will has starred in A New York Winters Tale, which performed bitterly at the box office, and has produced the musical remake, Annie, which is so far performing well at the box office. Will's earnings are certainly impressive and with projects including, Suicide Squad (2016), Hancock 2 and Bad Boys 3, we can sure bet that Will's earnings are only going to get better as the next couple of years close in. Mark Wahlberg is at the top of his game in Hollywood, adored by audiences and respected by all of his co-stars. Mark is a successful A-List actor in Hollywood and has proven to be a smart producer, collaboratively, helping him bring in a whopping amount of money.